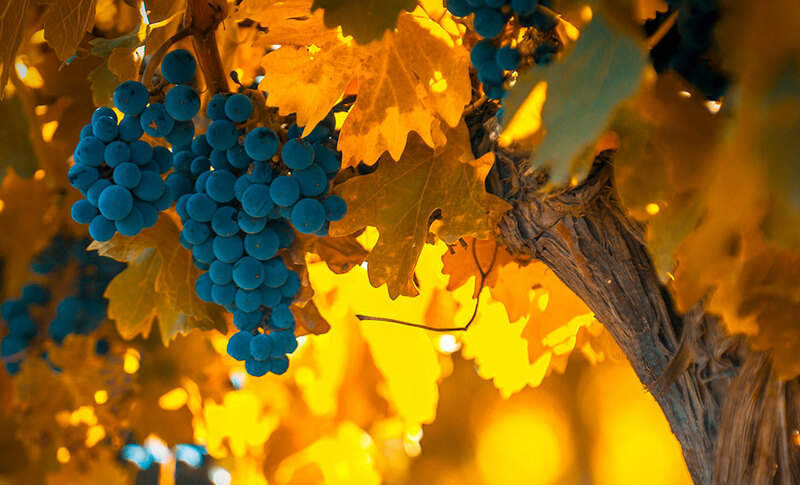 Hillbrook is the perfect home away from home and romantic respite for your Northern Virginia Wine Trail getaway. 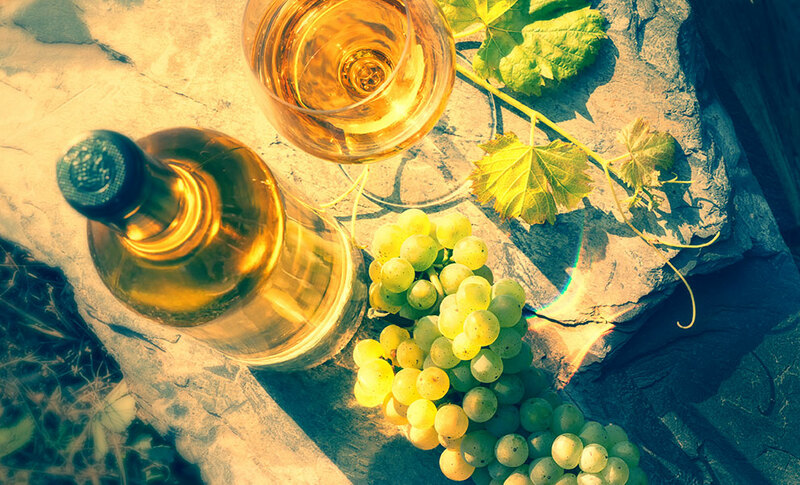 Escape to miles of stunning vineyard views and surround yourself with the majestic Blue Ridge mountains while sipping and savoring at the best wineries just minutes from our Harpers Ferry bed and breakfast. 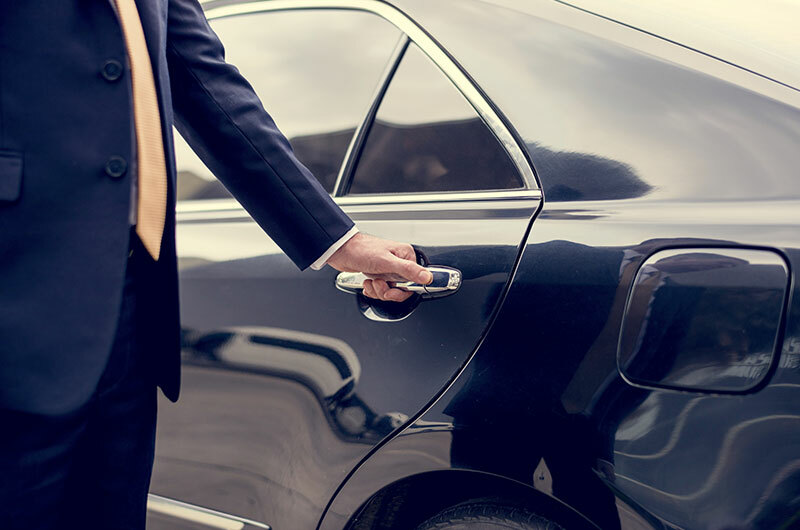 Add a little luxury to your adventure and let us chauffeur you around the area on your own personal tour of nearby northern Virginia wineries with our Chauffer Driven Tours. 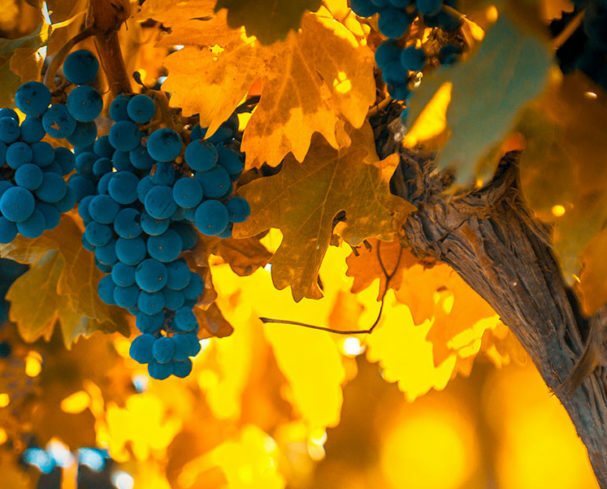 The tour includes transportation, tasting fees for the wineries and gourmet snacks designed to be paired with your wine. You’ll also receive a 10% discount on our premium wine pairing with your meal if you choose to dine at Hillbrook’s Redbook Restaurant. 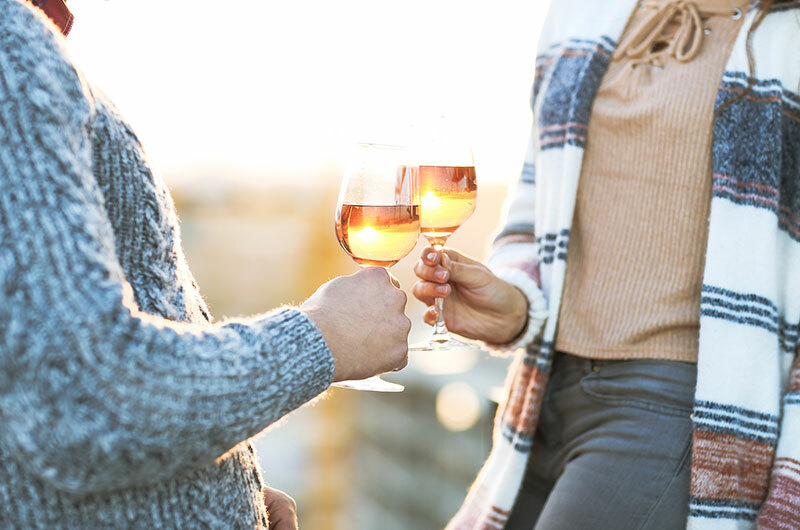 Enjoy wine tasting at three of our partner wineries (or two wineries on Tuesdays and Wednesday when some of the wineries are closed). At North Gate Vineyard, Winemakers Mark and Vicki Fedor focus on Chardonnay, Viognier, Petit Manseng, and Bordeaux Reds. 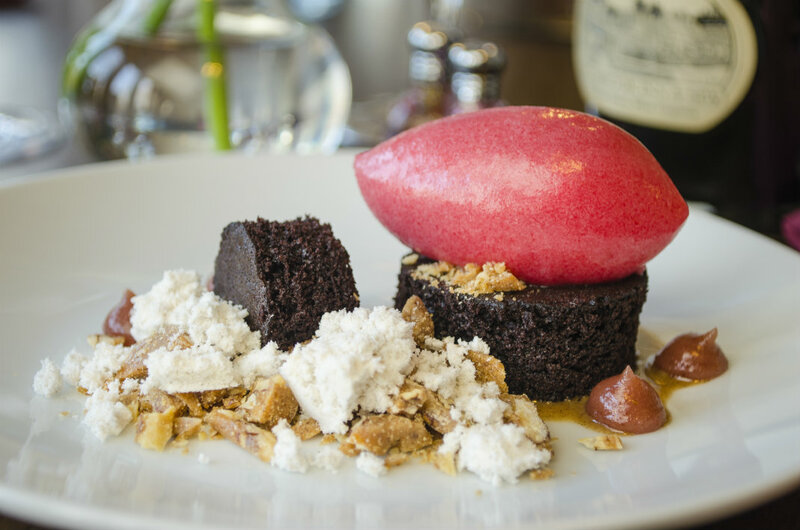 Enjoy chocolate pairings with locally made truffles and specialized sangria for purchase by the glass for a unique tasting experience. 8 Chains North Winery is a small, family-owned and operated farm winery where owners Ben and Connie Renshaw offer guests a spacious, yet intimate tasting room setting with cozy chairs, a gallery wall featuring Loudoun County artists, and some funky decorative touches. Doukénie Winery winemaker Sébastien Marquet produces high quality wines on the Bazaco family farm. Enjoy the hospitality of the Bazaco family, especially if you’re lucky enough to get a taste of Hope’s homemade Baklava. Breaux Vineyards is a is an impressive family-owned winery in the valley of the vines and home to fun people, warm hospitality, great wine and a beautiful setting. 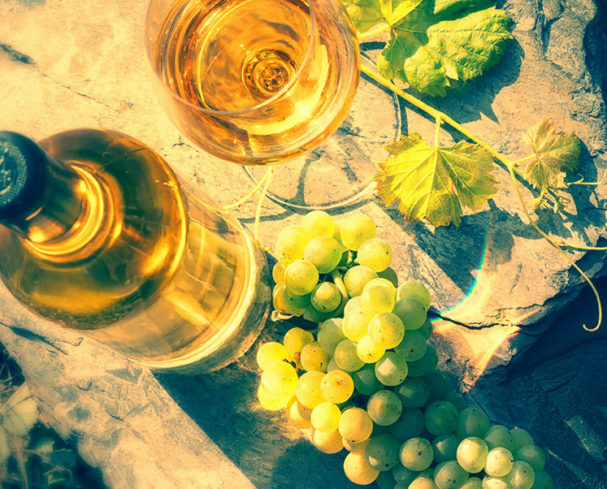 Taste internationally acclaimed wines made from 17 different grape varieties while you enjoy breathtaking views of the Blue Ridge Mountains. 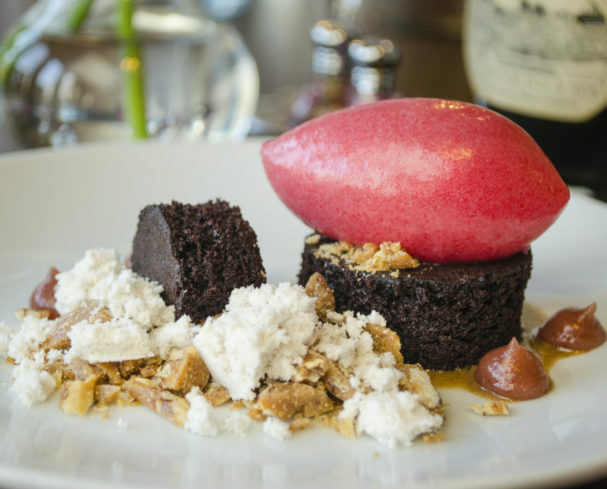 After an enjoyable day of wine tasting, taste an elegant prix fixe dinner at Hillbrook Inn’s Redbook Restaurant. 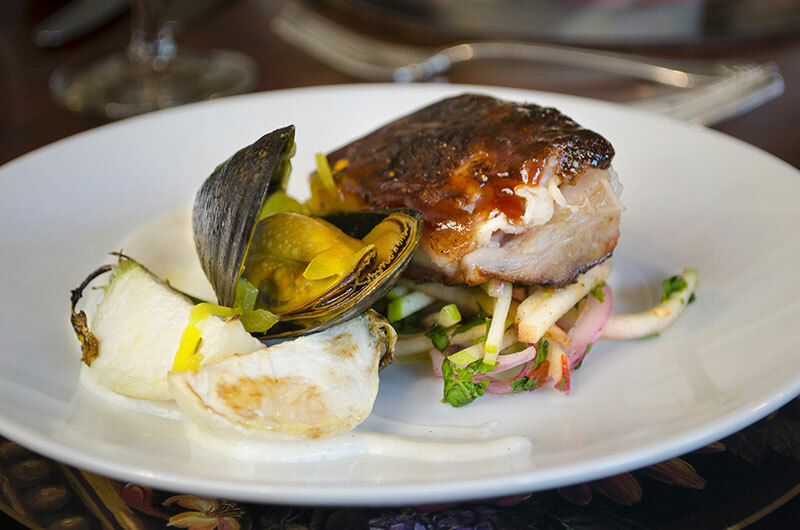 Our talented culinary team transforms fresh, local ingredients into one-of-a-kind daily chef’s choice menus that are not only visually appealing and exquisite to the palette, but also tailored to our guests’ specific dietary needs. Following dinner, snuggle into your plush, opulent room to wind down, relax, and turn in for the night. Choose from our elegant and eclectic Main House Rooms & Suites, our romantic and private Cottage Suites, our luxurious Gatehouse and Farmhouse Suites, or our Hawthorn Suites featuring classic architectural elements combined with modern conveniences. 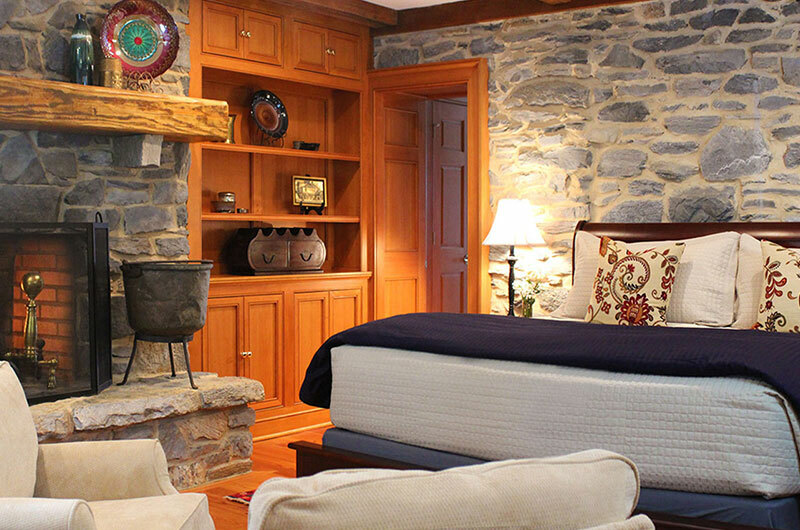 No matter which of our Virginia wine country lodgings you choose, you’re sure to rest easy and wake up refreshed. 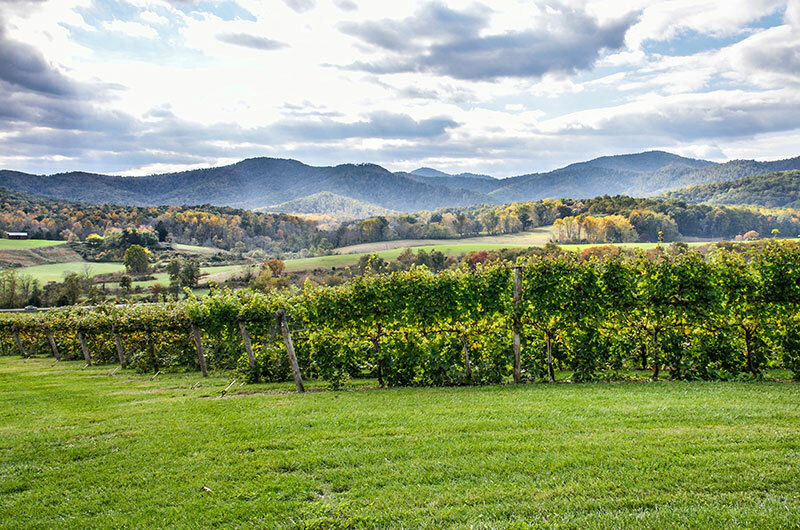 Book now for an unforgettable Virginia Wine Trail vacation!